With Complete Care Dental, you have the freedom to choose any dentist. Or use one of our preferred providers for 100% coverage after a small $20 co-pay. There are more than 109,000 preferred dental locations nationwide. Or you can use any dentist anywhere covered at 90%3 with a $25 co-pay for preventive services, and 50% with $25 co-pay for basic services. So you have the freedom to choose any Dentist with NO waiting period. Major services need to be preformed by an in network dentist. 1 Based on 80th percentile of the 2012 National Dental Advisory Service Comprehensive Fee Report. 2 actual cost are for General Dentists. All schedules vary by location. 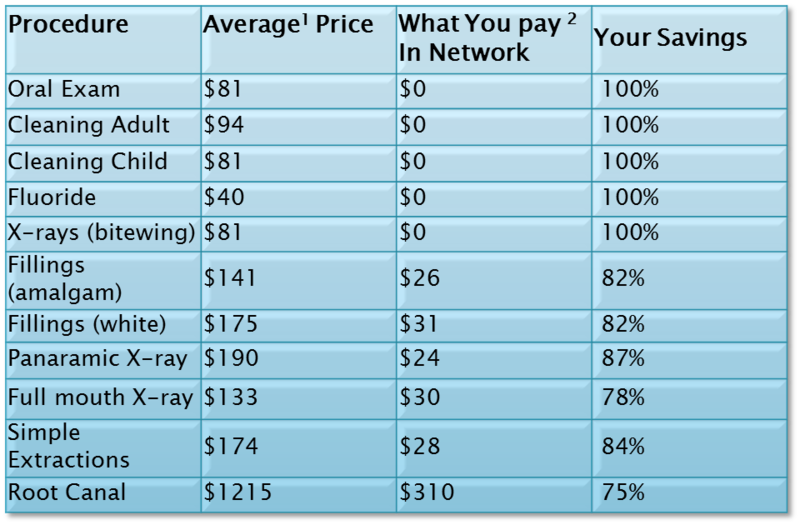 Above prices do not include deductible and co-pays. 3 Out of network coverage is covered at 90% of in network fee schedule. Get the best in eye care and eyewear with VSP Vision Care. Why enroll in VSP? We invest in the things you value most - the best care at the lowest out-of-pocket costs. Because we're the only national not-for-profit vision care company, you can trust that we'll always put your wellness first. You'll like what you see with VSP. Value and Savings. You'll enjoy more value and the lowest out-of-pocket costs. High Quality Vision Care. You'll get the best care from a VSP provider, including a WellVision Exam - the most comprehensive exam designed to detect eye and health conditions. Choice of Providers. The decision is yours to make - choose a VSP doctor, a participating retail chain, or any out-of-network provider. Great Eyewear. It's easy to find the perfect frame at a price that fits your budget. Using your VSP benefit is easy. Create an account at vsp.com. Once your plan is effective, review your benefit information. Find an eye care provider who's right for you. To find a VSP provider, visit vsp.com or call 800.877.7195. At your appointment, tell them you have VSP. There's no ID card necessary. If you'd like a card as a reference, you can print one on vsp.com. That's it! We'll handle the rest - there are no claim forms to complete when you see a VSP provider. From classic styles to the latest designer frames, you'll find hundreds of options. Choose from featured frame brands like bebe, Calvin Klein, Cole Haan, Flexon, Lacoste, Nike, Nine West, and more. Visit vsp.com to find a Premier Program location that carries these brands. Prefer to shop online? Check out all of the brands at Eyeconic.com, VSP's online eyewear store. 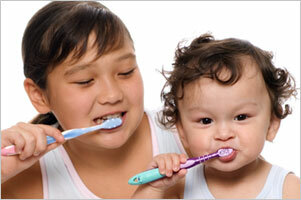 Complete Care Dental provides the dental care you need, at a price you can afford. We are committed to providing the highest quality dental services available at prices that make sense.